Quality of life is an emerging term of modern times as a result of ever increasing civilization of societies. Existing studies suggest that thanks to developments in technology and increase in income levels, welfare is no longer the only indicator of quality of life but environmental, social, and political factors have also significant impact on it. In this study, ENTROPY, ARAS and MOOSRA multi criteria decision making methods have been used to assess quality of life in EU countries. Different life quality criteria have been used in the literature. The criteria that was used in this study to assess the quality of life in EU consist of the factors, provided in Numbeo website in 2016 such as purchasing power, safety, health, climate, cost of life, cost of property, time spent on traffic and pollution. Entropy method has been used to calculate the criteria weights. Pollution has been found as the most important criteria of life quality in EU countries. ARAS and MOOSRA methods have been used to compare the countries. Finding of both methods highlight that Finland is the best country in terms of life quality. Adalı, E. & Işık, A. (2016). Air conditioner selection problem with copras and aras methods. Manas Journal of Social Studies, 5 (2), 124-138. Adalı, E.A. & Işık, A.T. (2016). the multi-objective decision making methods based on multımoora and moosra for the laptop selection problem. Journal of Industrial Engineering International-Springer, 1-9. Alp, İ., Öztel, A. & Köse, M.S. (2015). Entropi tabanlı maut yöntemi ile kurumsal sürdürülebilirlik performansı ölçümü: bir vaka çalışması. Ekonomik ve Sosyal Araştırmalar Dergisi, 11 (2), 65-82. Bakshi, T. & Sarkar, B. (2011). MCA based performance evaluation of project selection. International Journal of Software Engineering & Applications, 2 (2), 14-22. Balezentiene, L., Streimikiene, D. & Balezentis, T. (2013). Fuzzy decision support methodology for sustainable energy crop selection. Renewable and Sustainable Energy Reviews, 17, 83-93. Bilien, U. & Tassinopoulos, A. (2001). Forecasting regional employment with the entropy method. European Congress of the Regional Science Association, 35 (2), 113-124. Chatterjee, P. & Chakraborty, S. (2012). Material selection using preferential ranking methods. Materials and Design, 35, 384-393. Chen, J., Zhang, Y., Chen, Z. & Nie, Z. (2015). Improving assessment of groundwater sustainability with analytic hierarchy process and information entropy method: a case study of the hohhot plain, china. Environment Earth Science, 73 (5), 2353-2363. Chen, W., Feng, D. & Chu, X. (2015). Study of poverty alleviation effects for chinese fourteen contiguous destitute areas based on entropy method. International Journal of Economics and Finance, 7 (4), 89-98. Çınar, Y. (2004). Çok nitelikli karar verme ve bankaların mali performanslarının değerlendirilmesi örneği. Yayınlanmamış Yüksek Lisans Tezi, Ankara Üniversitesi Sosyal Bilimler Enstitüsü İşletme Anabilim Dalı, Ankara, Turkey. Dadelo, S., Turskis, Z., Zavadskas, E. & Dadeliene, R. (2012). Multiple criteria assessment of elite security personal on the basis of aras and expert methods. Economic Computation and Economic Cybernetics Studies and Research, 46 (4), 65-88. Ecer, F. (2016). ARAS Yöntemi kullanılarak kurumsal kaynak planlaması yazılımı seçimi. Uluslararası Alanya İşletme Fakültesi Dergisi, 8 (1), 89-98. Jagadish, J. & Ray, A. (2014). Green cutting fluid selection using moosra method. International Journal of Research in Engineering and Technology, 3 (3), 559-563. Karaatlı, M. (2016). Entropi-gri ilişkisel analiz yöntemleri ile bütünleşik bir yaklaşım: turizm sektöründe uygulama. Süleyman Demirel Üniversitesi İktisadi ve İdari Bilimler Fakültesi Dergisi, 21 (1), 63-77. Karami, A. & Johansson, R. (2014). Utilization of multi attribute decision making techniques to ıntegrate automatic and manual ranking of options. Journal of Information Science and Engineering, 30, 519-534. Kutut, V., Zavadskas, E.K. & Lazauskas, M. (2014). Assessment of priority alternatives for preservation of historic buildings using model based on aras and ahp methods. Archives of Civil and Mechanical Engineering, 14 (1), 287-294. Li, X., Wang, K., Liu, L., Xin, J., Yang, H. & Gao, C. (2011). Application of the entropy weight and topsis method in safety evaluation of coal mines”, Procedia Engineering, 26, 2085-2091. Ömürbek, N., Karaatlı, M. & Balcı, H.F. (2016). Entropi temelli maut ve saw yöntemleri ile otomotiv firmalarının performans değerlemesi. Dokuz Eylül Üniversitesi İktisadi ve İdari Bilimler Fakültesi Dergisi, 31 (1), 227-255. Phua, M.H. & Minowa, M. (2005). A-GIS- based multi-criteria decision making approach to forest conservation planning at a landscape scale: a case study in the kinabalu area, sabah, malaysia. Landscape and Urban Planning, 71 (2-4), 207-222. Reza, S. & Majid, A. (2013). Ranking financial ınstitutions based on of trust in online banking using aras and anp method, International Research Journal of Applied and Basic Sciences, 6 (4), 415-423. Sarkar, A., Panja, S.C., Dibyendu, D. & Sarkar, B. (2015). Developing an efficent decision support system for non-traditional machine selection: an application of moora and moosra. Production & Manufacturing Research: An Open Access Journal, 3 (1), 324-342. Shemshadi, A., Shirazi, H., Toreihi, M. & Tarokh, M.J. (2011). A fuzzy vıkor method for supplier selection based on entropy measure for objective weighting. Expert Systems with Applications, 38 (10), 12160-12167. Sliogeriene, J., Turskis, Z. & Streimikiene, D. (2013). Analysis and choice of energy generation technologies: the multiple criteriaaassessment on the case study of lithuania. Energy Procedia, 32, 11-20. Stanujkic, D. & Jovanovic, R. (2012). Measuring a quality of faculty website using aras method. Proceeding of the International Scientific Conference Contemporary Issues in Business, Management and Education, 545-554. Şeker, M. (2010). İstanbul’da yaşam kalitesi araştırması. İstanbul Ticaret Odası, Yayın No: 103, İstanbul. Wang, T.C. & Lee, H.D. (2009). Developing a fuzzy topsıs approach based on subjective weights and objective weights. Expert Systems with Applications, 36 (5), 8980-8985. Wu, J., Sun, J., Lıang, L. & Zha, Y. (2011). Determination of weights for ultimate cross efficiency using shannon entropy. Expert Systems With Applications, 38 (5), 5162-5165. Yavuz, V.A. (2016). Coğrafi pazar seçiminde promethee ve entropi yöntemlerine dayalı çok kriterli bir analiz: mobilya sektöründe bir uygulama. Niğde Üniversitesi İktisadi ve İdari Bilimler Fakültesi Dergisi, 9 (2), 163-177. Yıldırım, B.F. (2015). Çok kriterli karar verme problemlerinde aras yöntemi”, Kafkas Üniversitesi İktisadi ve İdari Bilimler Fakültesi Dergisi, 6 (9), 285-296. Zavadskas, E.K & Turskis, Z. (2010). A new additive ratio assessment (aras) method in multicriteria decision-making”, Technological and Economic Development of Economy, 16 (2), 159-172. Zavadskas, E.K., Turskis, Z. & Vilutiene, T. (2010). Multiple criteria analysis of foundation ınstalment alternatives by applying additive ratio assessment (aras) method” Archives of Civil and Mechanical Engineering, 10 (3), 123-141. Zhang, H., Gu, C.L., Gu, L.W. & Zhang, Y. (2011). The evaluation of tourism destination competitiveness by topsıs & ınformation entropy e a case ın the yangtze river delta of china. Tourism Management, 32, 443-451. ISNAD ÖMÜRBEK, Nuri , EREN, Hande , DAĞ, Okan . "ENTROPİ-ARAS ve ENTROPİ-MOOSRA Yöntemleri İle Yaşam Kalitesi Açısından AB Ülkelerinin Değerlendirilmesi". 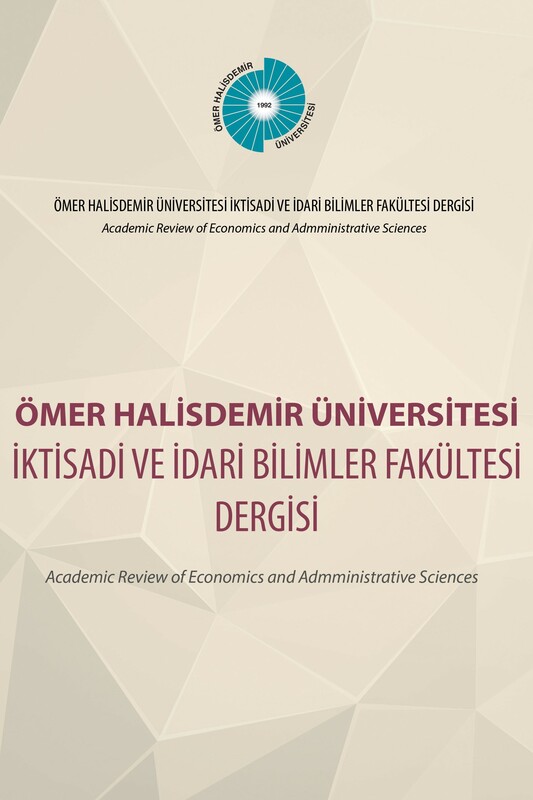 Ömer Halisdemir Üniversitesi İktisadi ve İdari Bilimler Fakültesi Dergisi 10 / 2 (May 2017): 29-48.